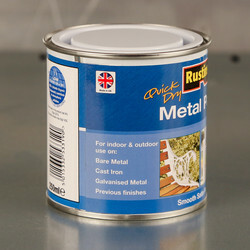 A quick drying water based direct to metal paint. No primer required. 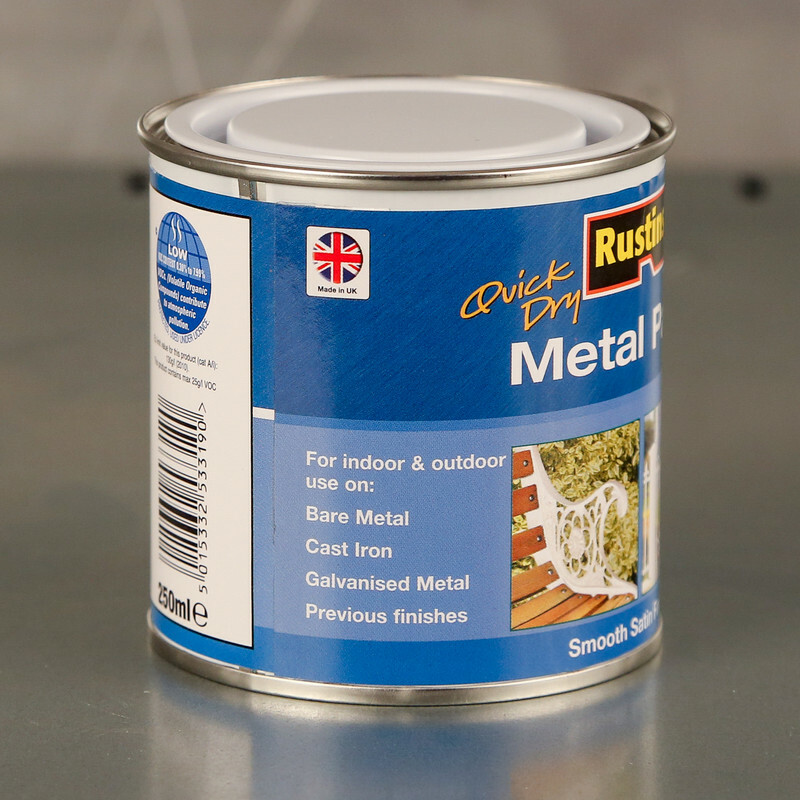 Suitable for bare metal, cast iron, and galvanised metal. For interior and exterior use. Hazard Safety Codes: Xi, R36. 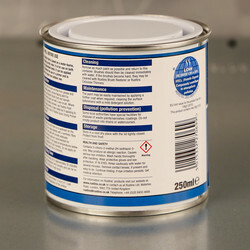 Approx coverage: 14m2 per litre. 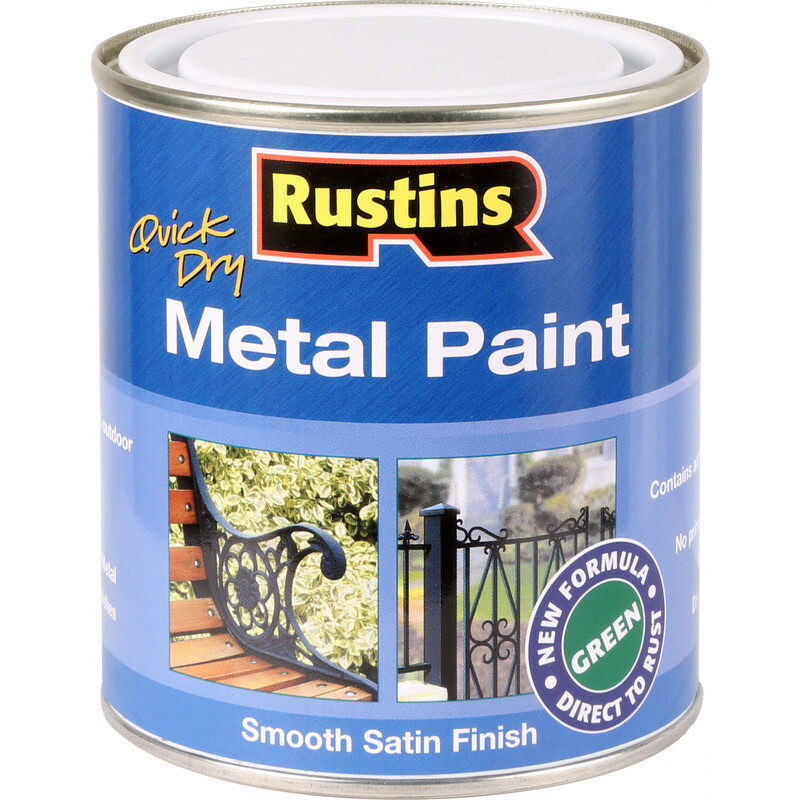 Rustins Quick Dry Metal Paint Smooth Satin 500ml Green is rated 3.7 out of 5 by 19. Rated 1 out of 5 by Malk105 from Terrible Painted this over light surface rust which I had already treated with Rustins rust converter. I had left the rust converter for several hours and then covered with the paint. It appeared to re-wet the rust drawing it through and staining the paint with rust. Also, as it dried it cracked like crazy paving all over. 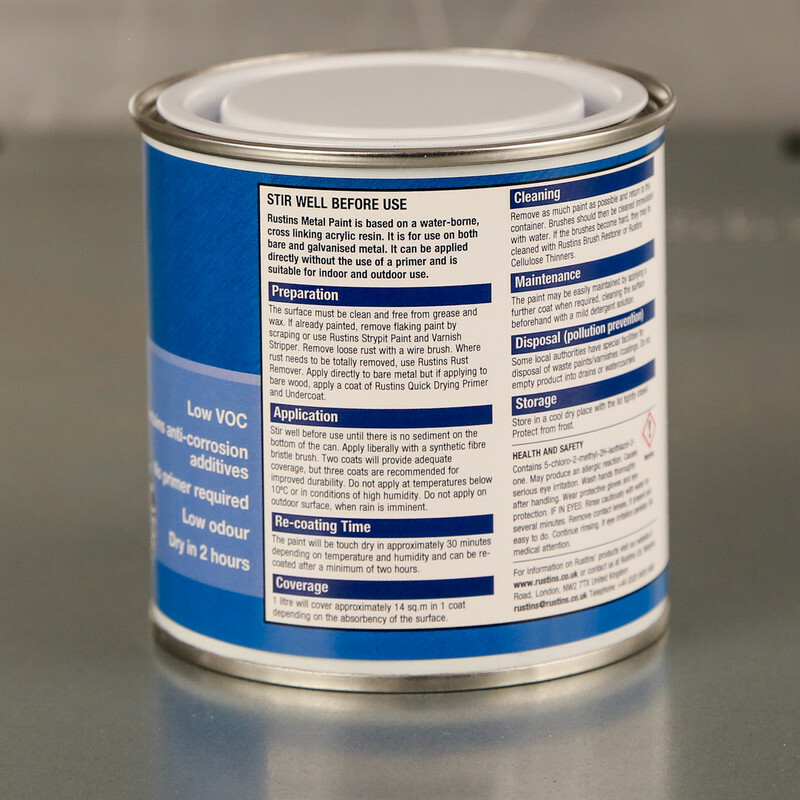 Doesn’t seem to take over the same company’s rust converter. Waste of my money. Rated 1 out of 5 by Gordon the goffer from Worst metal paint ever Rubbed down to bare metal using a 40 and 60 grit flap wheel. Painted with this "direct to steel paint" 4 hours later brushed off any dust with the palm of my hand and the paint just flaked off. 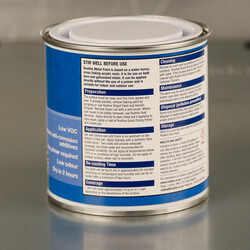 No where near as good as old Flag xylene based metal paint the TS no longer sell unforunately. 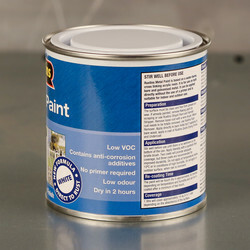 Rated 3 out of 5 by amaccx from wrong conditions i have used this paint before with no problems it did what it says on the tin this time due to not having choice i had to use it in cold weather which made it difficult to stir and took a long time to dry not it's fault but it did the job. Rated 1 out of 5 by Mgjf from Rubbish ! Thin as water , very runny even when stirred well , is love to know about the anti corrosion properties as it made brand new steel rust when drying ! 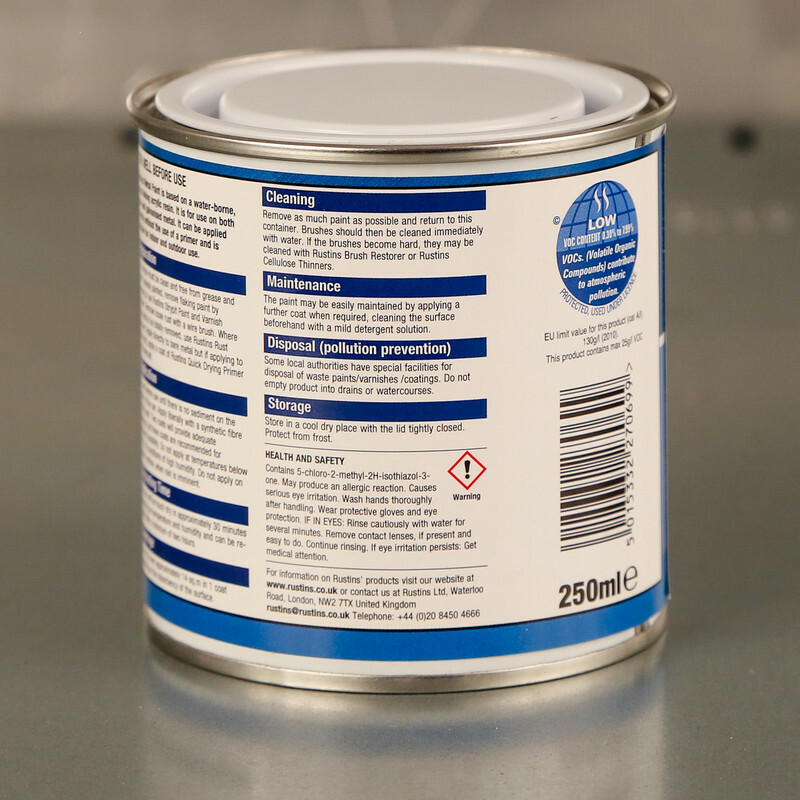 Don't bother and buy something which is oil based . 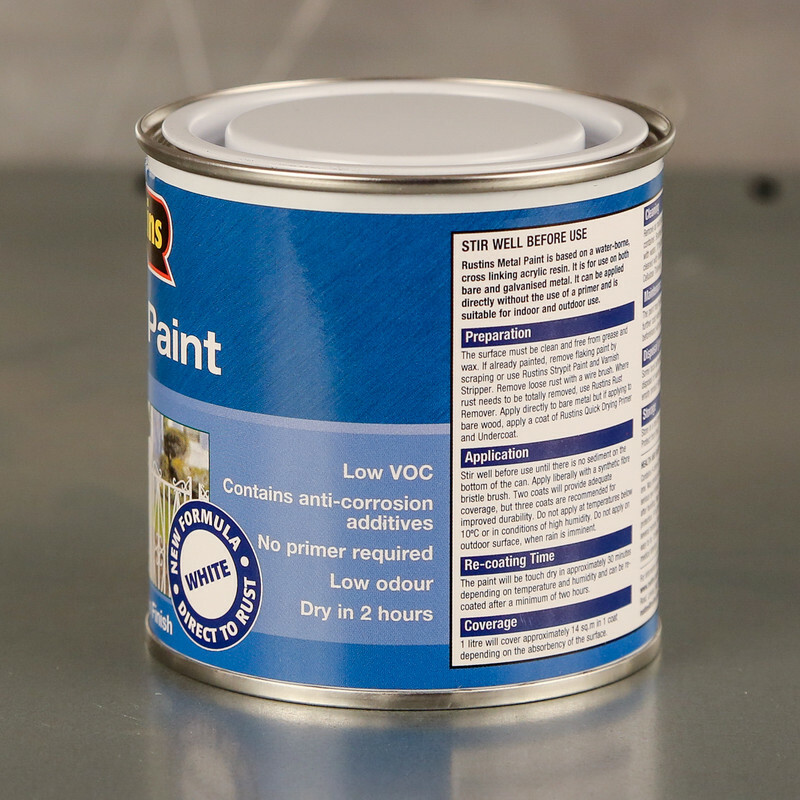 Rated 5 out of 5 by george1237 from excellent paint very good to use . i have only just stared useing this pain it as a good cover and quick trying excellent many thanks. Rated 5 out of 5 by Bobblehat from Easy to apply Great product. Much easier to apply than you know what. Dries super quick.